Councillor John Sheahan, Cathaoirleach of Limerick Co. Council, has called for “Open Season” on the hen harrier, a protected bird of prey that breeds in the county. Cllr. Sheahan, who is a member of Fine Gael, said that unless the restrictions on land use in EU sanctioned Special Protected Areas (SPAs) in the county were relaxed before the upcoming Budget 2014, that “open season” should be declared on this legally protected bird species. “Budget 2014 should be the deadline for this, and if nothing happens by then ‘open season’ should be declared on the Hen Harrier”. Cllr. John Sheahan, Limerick Co. Council. 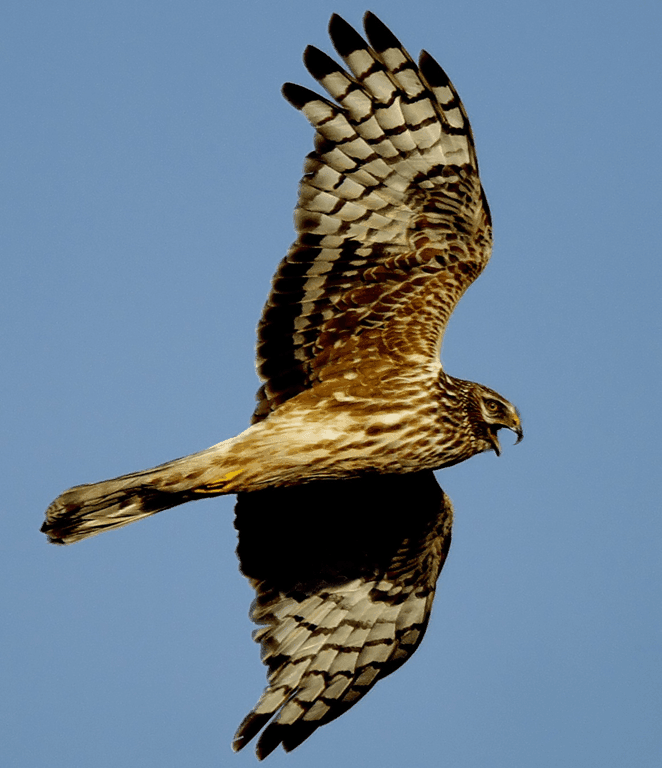 The hen harrier is a species of high conservation concern in Ireland and is protected under The Wildlife Act 1976 & Amendment Act 2000 in the Republic and under The Wildlife (Northern Ireland) Order 1985 in Northern Ireland. The species is listed on Annex 1 of the EU Birds Directive and is currently considered an All-Ireland Species of Conservation Concern and a UK priority species. Six sites in Ireland have been designated as SPAs for the Hen Harrier under legislative framework laid out by the EU Birds Directive. Two of these affect Co. Limerick: The Slievefelim to Silvermines Mountains SPA (Counties Limerick & Tipperary; Site Code: 4165) and The Stacks to Mullaghareirk Mountains, West Limerick Hills and Mount Eagle SPA (Counties Cork, Kerry & Limerick; Site Code: 4161). Hen Harriers are Ireland’s only breeding harrier species, and despite ongoing conservation efforts populations are still struggling following decades of persecution and inappropriate land use. Suggestions that these conservation measures should be relaxed is bad enough, and shows a disturbing lack of understanding of the underlying environmental issues. What”s far worse is inciting people to acts of wildlife crime by suggesting they intentionally harm hen harriers, as Cllr. Sheahan clearly appears to be suggesting in his comments. Here’s a transcript of Cllr. Sheahan’s remarks as reported by the Limerick Leader (via the Raptor Persecution Scotland website). It is outrageous that a serving politician in a position of authority and influence should make such an ill-informaed and potentially damaging statement. If you’d like to contact Cllr. Sheahan you’ll find his contact details on the Limerick County Council Website here (and if sending an email consider copying in Minister for Agriculture, Food and the Marine Simon Coveney — simon.coveney@oireachtas.ie — and Minister for the Environment, Community and Local Government Phil Hogan — philip.hogan@oireachtas.ie). The Raptor Persecution Scotland site also has details of how you can make a formal complaint about Cllr. Sheahan’s remarks, and you can show your support for protecting Irish Hen Harriers by signing this online petition. UPDATE: you can see my email to Cllr. Sheahan here, and his response here. Yes… meant to include that in the piece… it was in there, but must have inadvertently cut it during an edit. Oops! Thanks for pointing it out.